It is now official. 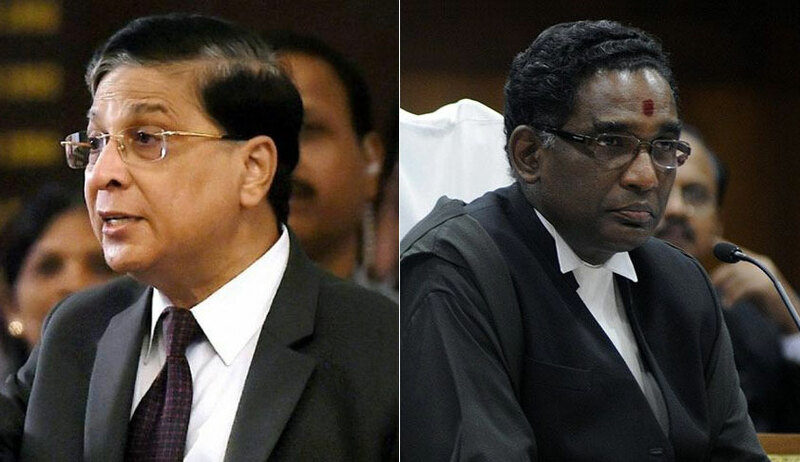 Justice Jasti Chelameswar, the No.2 Judge in the Supreme Court, who will retire on June 22, will sit with the Chief Justice of India, Dipak Misra, at Court No.1 on May 18, the last working day, before the Court rises for summer vacation, in keeping with the long-standing tradition of the Court. The Supreme Court cause list for May 18 shows Justice Chelameswar sitting with the CJI, Dipak Misra, and Justice D.Y.Chandrachud at Court No.1. Although it is a convention that a retiring Judge of the Court will sit at Court No.1 along with the CJI on his last working day, Justice Chelameswar’s declining the invitation of the Supreme Court Bar Association (SCBA) to attend its farewell function on May 18 in his honour gave rise to speculation whether he would similarly refuse to follow the convention of the Court, and sit with the CJI. Justice Chelameswar’s decision shows the question does not arise as he drew a distinction between honouring a long-held convention of the court, and the propriety of the SCBA organising a farewell function in honour of a retiring Judge, and the latter agreeing to attend it. A farewell function, because of its very nature, implicitly compels the retiring Judge and other speakers at the function to avoid discussing politics of the Court, which led to intense controversies in recent times. Avoiding a discussion on the Court’s recent politics, however, would strengthen the impression whether those who are at the centre of the recent events, wish to paper over the issues of the Court, which are hotly debated in the media. On the contrary, if they are indeed referred to at the function, it may ruffle people’s feathers, as speakers would find it hard to debate issues, without referring to the role of different personalities. As a result, the spirit of the function, which is to say farewell to the retiring Judge, might suffer. Justice Chelameswar, keeping in view the widely-shared perception that the CJI and himself were at the centre of these controversies for different reasons, has in his wisdom, thought it wise to decline the SCBA’S invitation for the farewell function. Refusal to honour the court’s convention on the last working day, however, would have sent a wrong message, which he probably wanted to avoid.